the Leader in Truck Caps Has Reached a Sponsorship Agreement with Bass Champs. ELKHART, Ind. -- LEER®, North America’s leading manufacturer of fiberglass truck caps, and supporter of fishing’s “LEER Cover Cash” bonus program, recently announced its sponsorship of four of Bass Champs. In addition to LEER being an official sponsor, Bass Champs anglers who purchase or already own a LEER truck cap or tonneau can sign up for “Cover Cash” for free at LEERCoverCash.com, or by calling Kristie at (918) 742-6424. 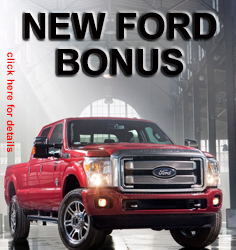 Once signed-up, the highest finishing LEER “Cover Cash” participant will earn a cash bonus. “Our premium truck caps and tonneaus are built in three facilities located in Pennsylvania, Indiana and California by the same kind of dedicated American hands that grab a baitcasting or spinning reel on the weekends to compete in top regional tournaments,” said Kevin Page, vice president of sales, marketing and business development for LEER. “Given the huge percentage of tournament anglers that drive trucks, our desire to expand our support of their sport makes great sense,” added Page. "This is the first year we have worked with LEER and we are excited to have them join our team,” said Chad Potts, President of Bass Champs. “They understand the needs of anglers, and produce an American-made product that our trail’s competitors can trust. We look forward to a successful relationship for years to come." Bass Champs has always been known for being innovators in the tournament world and 2015 is no exception. This upcoming season, Bass Champs is offering more to grass roots anglers than ever before. Bass Champs anglers will have the opportunity to compete for a guaranteed 1st place of $20,000 cash at every regular season event. Remaining evolutionary and innovative, Skeeter Bass Champs will be hosting the inaugural “Richest Guaranteed Open Team Tournament in the World,” the TX Shootout, on Lake Sam Rayburn scheduled for June 28th. Anglers will be competing in a one-day tournament for a guaranteed first place prize of $50,000 Cash, plus qualified Skeeter owners can win an additional $10,000 cash! 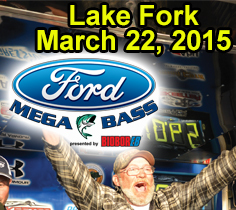 In addition to team events, Bass Champs will continue to host Big Bass events such as the Ford Mega Bass tournament. This event is the World’s richest one day Big Bass event, and offers anglers a chance to WIN A FORD TRUCK – EVERY HOUR. Also, Bass Champs will again host the largest boat owner’s tournament in the world, The Skeeter Owners event on Lake Fork. 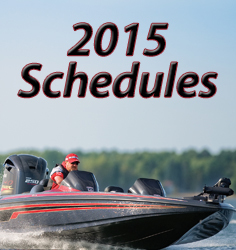 The final event of 2015 will be the 10th Annual Berkley Big Bass event, the world’s largest bait specific tournament. Skeeter Bass Champs continues to lead Texas in delivering the most rewarding, highest pay percentage and organized running bass tournaments. The commitment of Bass Champs to anglers around the state, catering to the beginners as well as the most advanced has kept their sponsors and anglers loyalty for over 15 years. For more information about LEER, visit LEER.com. For More information on Bass Champs or to register for tournaments, visit BassChamps.com or call (817) 439-3274. Bass Champs will be awarding over $2 Million in cash and prizes to weekend anglers in 2015.